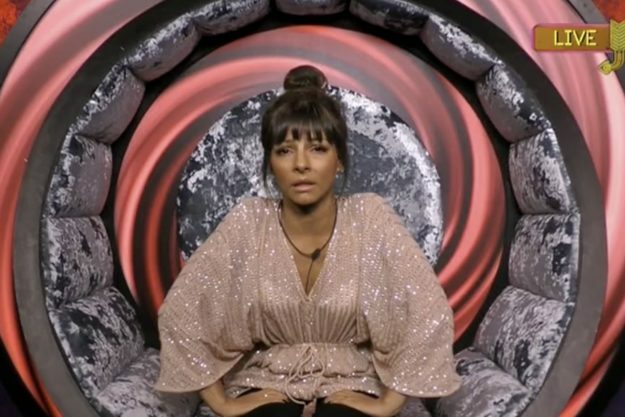 Former Emmerdale star Roxanne Pallett has left the Celebrity Big Brother house, broadcaster Channel 5 has said. Roxanne's exit comes after she claimed former Coronation Street actor Ryan Thomas, 34, punched her several times, but Ryan said he meant no harm and apologised to her. In Thursday's episode, Pallett, 35, was in tears as she told Big Brother about the alleged altercation and asked to sleep in a separate bedroom. Big Brother said in a tweet this morning: "Roxanne has chose to leave the Big Brother house. The remaining housemates have been informed", a Celebrity Big Brother spokesperson said, adding there would be no further comment. Lucy has responded to the news by posting the word "karma" on Instagram. Ryan's brother Scott has also reacted, sharing a tweet from a fan calling Ryan "an absolute gent". Later, Big Brother bosses called Thomas to the diary room where they pointed out that while "almost play fighting" he "punched Roxanne in the ribs". "Please show the housemates the clip. I'm thinking, that's not right!" You can clearly see he's broken. Roxanne has since released a statement saying she is now with her fiance and her family. And the pair were seen making up on Friday's show as Ryan said he did not intend to upset her. 'Let's just sort it out and make everyone else smile and move forward, ' Ryan replied.